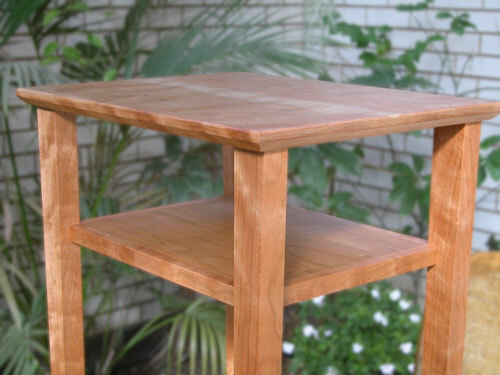 Legs are attached to the solid top with double tenons. The shelf is frame and floating panel. 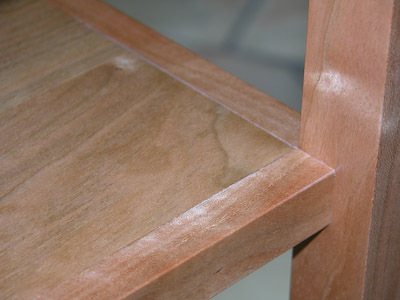 The following detail shows the floating panel and how the frame members are tenoned directly into the legs. The top is made from two pieces. 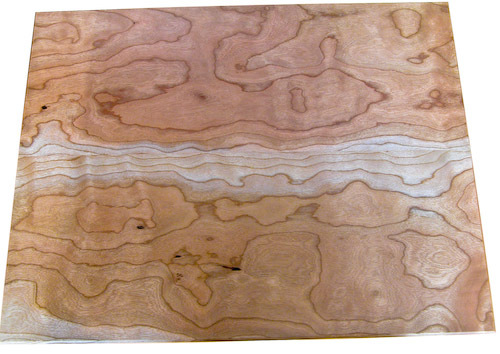 They are not book-matched because I wanted to emphasise the map-like nature of the crown-cut grain.